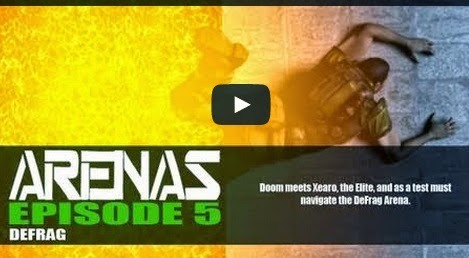 Doom is introduced to Xaero, and must complete his first round of DeFrag trials as he takes on the Iilgah Map. - No warrior of the Arenas Eternal is more sure or more deadly than Xaero. Death and destruction is his mantra and through aeons of victories throughout the Arenas, he has become one with their echoing halls. Still awaiting the lesson of humility, Xaero will only ascend to the rank of Chosen, finding death match Nirvana when and if he finds someone worthy enough to vanquish him.